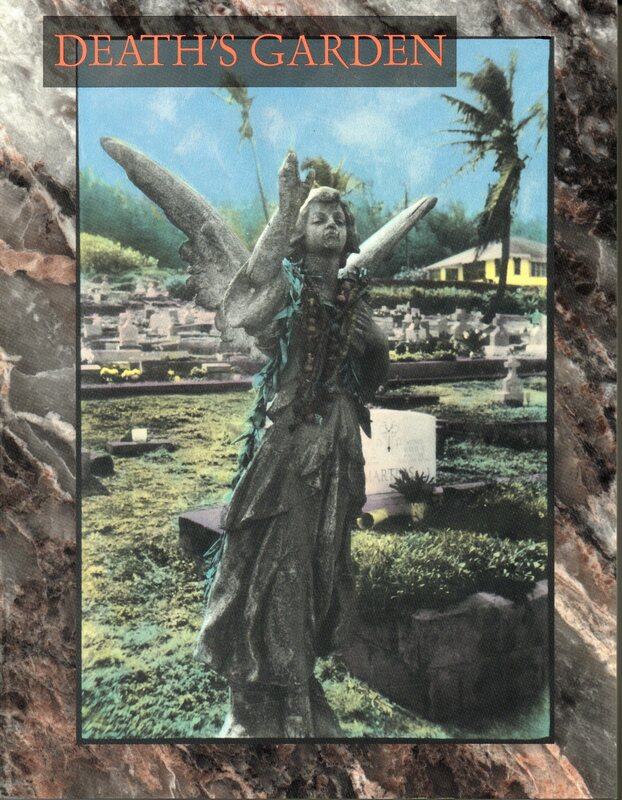 In 1995, Loren edited the book Death’s Garden: Relationships with Cemeteries for Automatism Press. Death’s Garden was originally envisioned as a showcase for Blair Apperson’s photos. Before his death, Blair documented graveyards from the California Gold County to the Bahamas. As Loren pursued the project, she discovered that everyone’s life has been touched by at least one graveyard. The book blossomed into a collection of over two dozen essays and more than 200 photographs involving 27 contributors, ranging from confrontationalist Lydia Lunch and ceramics professor Mary Jo Bole to artist/poet Jane Handel. In Death’s Garden, cemeteries from Argentina to Wall Street provide a quiet place for meditation, the best place for a ghostly game or to gossip about dead celebrities, and the only place to really connect with others in our tumultuous modern world. Authors considered teenage suicide, the death of parents and friends, their own mortality, the transience of fame, and the nature of death itself. The limited edition of 1000 copies sold out in 18 months.